Bronzing Powders. The most purchased item in my collection. Used to create the illusion of sun-kissed skin without lying in the sun. Not only are they easy to apply, but they conceal, even-out skintone and create a more toned/sculpted appearance. Bronzing powders should be placed strategically on the areas that would be naturally “kissed” by the sun: the forehead, bridge of nose, tops of cheeks, and chin. Take what’s left on the brush and blend onto the neck and décolleté so there is no line of demarcation. Bronzer should be transluscent. The brush that you use will make a big difference in your application: denser, shorter hairs will pick up more pigment than looser, longer hairs. (Favorite: Bobby Brown Bronzer Brush). Over-applying or picking the wrong shade will result in looking like Snookie. Everyone can wear bronzer, fair or dark skin, it’s just about knowing which shade works best for you. When picking out a bronzer, go about two shades deeper than your natural coloring, or choose a shade that is close to the color your skin naturally turns in the sun. Stay away from products that are frosted or have orange undertones, they will look artificial. Matte and semi-matte bronzers ONLY! Matte bronzers look more natural than glitter or frosted products. Especially for contouring purposes, matte products are a must. (How-To Contour: Here) A small about of sheen/glow is okay, however, apply with a light hand. If you want the shimmer or highlight, add separately with a highlighting product. Disclosure: I am constantly changing bronzers, daily. I have yet to find the “holy grail”, but will continue to search high and low. 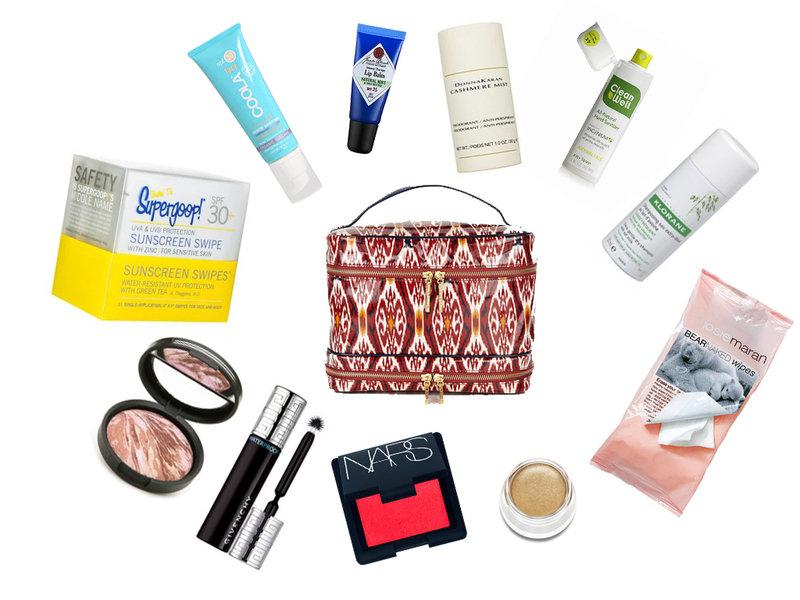 The favorites I have chosen are the products I reach for the most and believe to be universally flattering. Laura Geller Bronze-n-Brighten: This is a great product for correction purposes. The multi-colored, baked layers provide redness relief and an even skintone. The “bronzing” layers add a lasting glow to the skin. Bobby Brown Bronzing Powder: The universal bronzer. Available in seven shades for a wide range of complexions, this bronzer will suit anyone. The long-lasting formula is extremely smooth and silky and applies seamlessly. Guerlain ‘Terracotta-Four Seasons’ Bronzer: Guerlain is considered to be the “ultimate bronzing authority”. With many great products to choose from, the Terracotta-Four Seasons can be used all year long. The idea is to blend the four colors together in different variations to reach your desired color for every season. Bare Escentuals bareMinerals Faux Tan & Warmth All-Over Face Color: Both of these powders are my most reached for bronzers. Quick and easy, these bronzing powders bring “life” to the skin. Use separately to create healthy-looking skin in seconds. Mix them together for a radiant “sun-goddess” look. Chanel Soleil Tan De Chanel Moisturizing Bronzing Powder: When my skin is looking a bit dull or flat, this is the bronzer I use. It produces a nice glow on the skin and the color is very subtle. This is the most natural looking bronzing powder I have used. NARS Laguna: I have a love/hate relationship with this bronzer. Sometimes it looks amazing and other times it just looks dirty. Too Faced Caribbean in a Compact in Sun Bunny: Great color, too much shimmer. This is a great product to use on chest/legs and décolleté. 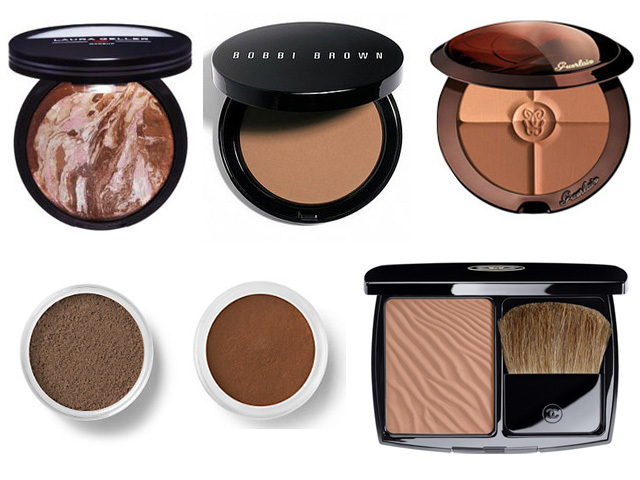 What are your favorite bronzing powders? Tory Burch Double Zip Train Case: A great travel case with cool ikat design. Supergoop! Sunscreen Swipes SPF 30 (21 count): These sunscreen wipes are individually packed, perfect for throwing in your bag. The pre-moistened towelettes are formulated to calm and soothe the skin while providing complete UV protection. Great for sensitive skin, these wipes can be used all over the body. Coola SPF 30 Unscented Matte Finish Tint: This lightly tinted moisturizer delivers broad spectrum SPF 30 protection. Infused with antioxidants, shea butter, plankton, borage seed oil and evening primrose extract, this lotion will rejuvinate, hydrate and protect. The water-resistant formula and matte finish is great for long days in the sun. Jack Black Intense Therapy Lip Balm SPF 25: My favorite lip balm to date, this product is incrediably soothing and moisturizing – provides SPF 25 and lasts. Enriched with superior skin conditioners and antioxidants, this emollient balm relieves dry, chapped and irritated lips. Donna Karen Cashmere Mist Deodorant: Keep dry and odor-free with Donna Karen’s Cashmere Mist Deodorant. Delicately scented with perfume, this advanced formula controls wetness and perspiration. CleanWell All Natural Hand Sanitizing Spray: Thousands of people and porta-potties… hand sanitizer is a must. This all-natural formula is made with thyme oil that kills all germs and the portable spray makes it easy to carry everywhere. Klorane Gentle Dry Shampoo (Travel Size): Extend time between washes with a dry shampoo. This gentle formula smells nice and absorbs oil and dirt – an instant refresher. Infused with oat milk, it also nourishes the hair while creating volume and texture. Josie Maran Bear Naked Wipes: Remove makeup, dirt and oil quickly with these all-natural wipes. Formulated with aloe vera, cucumber, chamomile and vitamin E, the easy-access wipes cleanse and refresh the face and body. Bonus: When purchased, these biodegradable wipes support to protect the endangered Polar Bear. RMS Cream Eyeshadow – Solar: Perfect for the desert princess, this cream eyeshadow reflects a sheer wash of gold. A great all-in-one eye product, it doubles as an eye cream to nourish and moisturize the eye area. NARS Cream Blush – Cactus Flower: The name alone implies desert beauty. This bright coral/spicy pink cream blush can be used on both the cheeks and lips. A very subtle gold shimmer leaves the skin flushed, dewy and healthy. Givenchy Phenomen’Eyes Waterproof Mascara: Waterproof mascara is a must-have. I assure you Givenchy’s will not budge or smudge. The spiked-ball wand takes a little to get used to but defines, separates and lengthens exquisitely. Tip: With your finger, smudge on the lashline for an instant liner effect that will last. Laura Geller Balance-n-Bronze: A genius design, adding bronzer and foundation, all-in-one. The color-correcting foundation is sheer but never looks powdery. The baked bronzer is infused with layers of color to achieve the perfect sun-kissed shade. Swipe separately or swirl together to get a glowing, sun-goddess look. Enter your email address to subscribe to Glow-T and receive notifications of new posts via email.